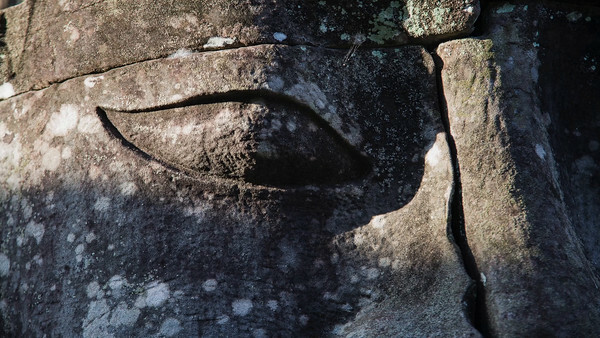 The Bayon is an ancient Khmer temple in the Angkor complex of Angkor Thom, near Siem Reap, Cambodia. It was built during the reign of the legendary king Jayavarman VII around 1200 AD. Its most striking feature is the number of huge smiling faces that look down on the temple ruins today. The Bayon is built up on three basic levels with many dark alcoves hidden inside that bid welcome to the visitor to offer a incense stick offering.